I made a deal with Kristin from My Bookish Ways: I’d start one of her favorite series, if she’d start one of mine. So, in exchange for her learning to “stay to the light” with Karen Marie Moning’s Darkfever, I dived into Rachel Caine’s Weather Warden books. Joanne is a woman on the run. Through circumstances beyond her control, she’s on the run with a demon festering inside her. 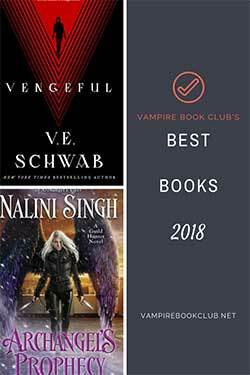 Rachel Caine makes us wait to find out just what happened to put her heroine on the road seeking the most powerful Warden (magic types who can control elements — earth, fire and weather), who just happens to be MIA. 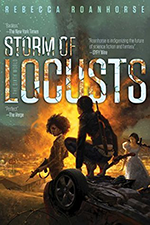 Admittedly, it drove me crazy just how long I was left out on what happened in Florida to make our heroine flee, especially as everyone she encounters knows the end result (even if not the how or why). You’ll keep flying through the pages for some answers. And once you have them, you’ll understand just why Jo is willing to drive halfway across the country on the word of a rather rude djinn. In other words, stick with it. The big stand-out for me with Ill Wind is the relationship between Jo and David. It develops organically. Both are so invested and so alike, it’s both heartening and frustrating. These two are both ready to jump on their own funeral pyre if it means saving the other. Two selfless hero types challenge one another and the chemistry burns. The world-building is fascinating, if a bit heavy. (As is often the case with the opening novel in urban fantasy series.) Caine provides the science behind Jo’s manipulation of the weather — pulling in cold air here, hot air there, breaking molecules, etc. — which showcases the protagonist’s mastery of her powers. I found it a touch distracting during the big action sequences, but am fairly certain Caine did this purposefully as we’re inside Jo’s head during big showdowns. 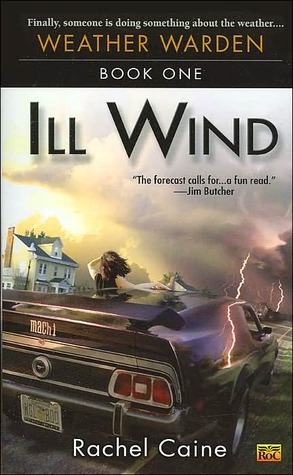 I loved the characters and the plot twists in Ill Wind. It sets the stage beautifully for a series more focused on the fiery djinn, and I’m looking forward to more. Short version: If you can accept sentient weather with seriousness, you’ll be able to fall for the full cast of characters in Caine’s Weather Warden series. Thank you for sharing about this book today. I have not read this series and I love it when series that I have missed are brought to my attention. I love this series. I couldn’t put the books down and fell in love with the characters. I wish she’d write more. It’s definitely worth the read. I’m actually looking forward to seeing where the series goes with the next book. This book / series has been on my TBR list for a while now. Looks like I’ll have to move it closer to the top. I’m so glad you reviewed I’ll Wind. It’s been sitting on the wish list. I look forward to reading it. I just finished speed-reading the entire series. I just loved it. Love David and Jo. Love Lewis (he broke my heart so many times). The only downside of reading all the books within a week is it was sort of repetitive. However, I think the author had an end in mind when she wrote the first book, which is always a plus for me.